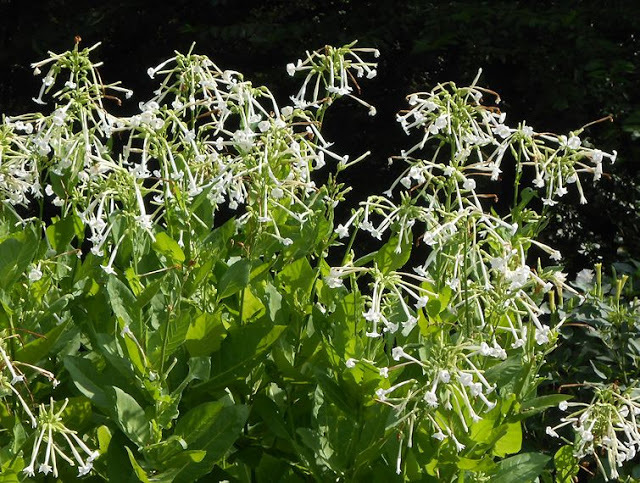 Sowing And Growing Nicotiana ‘White Trumpets’. Higgledy Flower School 2016. #32. 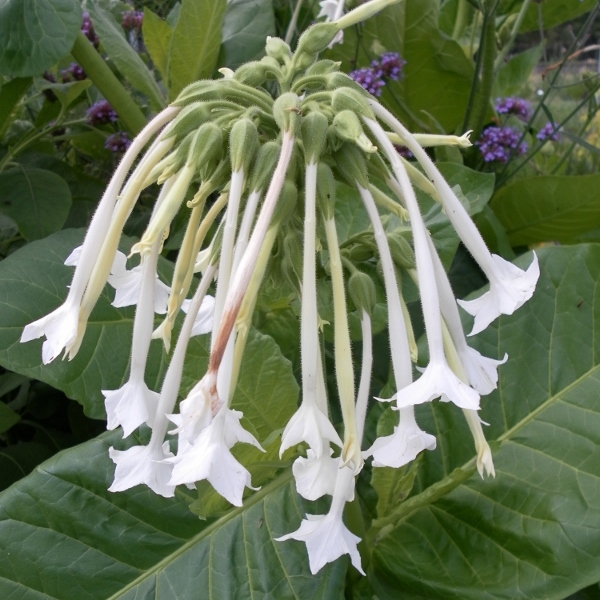 Nicotiana ‘White Trumpets’. 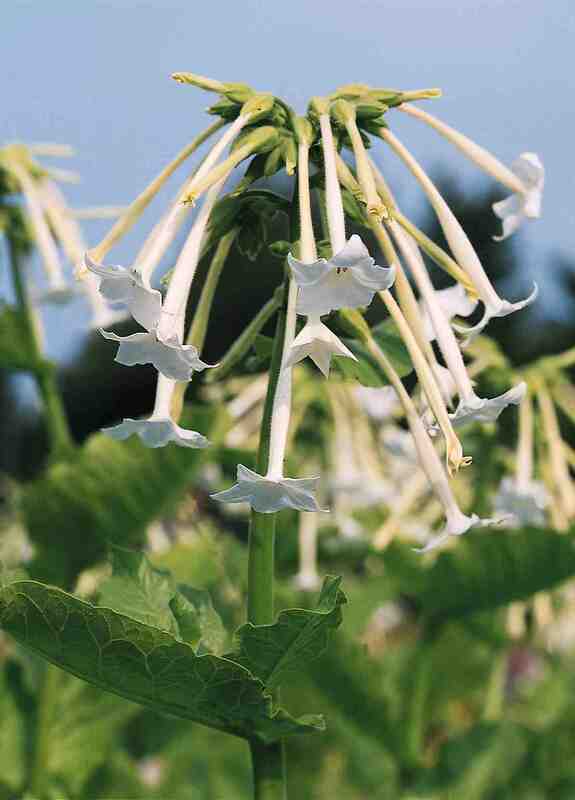 Nicotiana ‘White Trumpets’ is a tall and handsome beastie who is not only wonderful for cutting but also releases a heady perfumed scent of an evening as the mid Summer dusk falls over your cider and blackcurrant. *Sow from the beginning of April until May. Nicotiana is a half hardy annual so it must be kept away from the frost. So either sow undercover in April or outside after mid May. *Moisten the compost and sow the seeds in the center…sow as thinly as you can….Nicotiana seeds are like dust…I always get more seedlings than I need. These ones were sown in fibre pots…looking healthy. 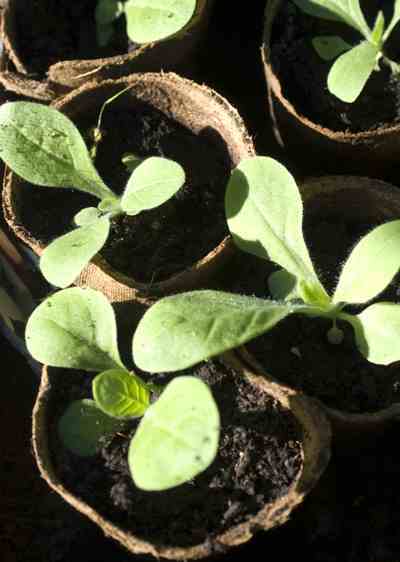 *Nicotiana seeds need light to germinate (in theory) so don’t cover the seeds…as a general rule of thumb don’t cover any really fine seeds. You can however use some Vermiculite…this costs about a fiver from the garden center. I now cover most of my seed trays in it…it’s silver gold horticultural bling and will make your seedlings feel like gangsters. *I cover my trays in a sheet of newspaper to keep the moisture in. *Being that I am fairly right wing in the cutting garden, I dispose of all seedlings bar one per pot…keeps things simple. *Let your seedlings grow away…wait until after the frosts until you plant them out…they will need hardening off first….there is no harm in leaving them in their pots until the end of May when the warmer soil and weather will make them more welcome to the outside world. *Space your plants outside with no less than a foot between plants. Plants can grow to a meter and a half tall so may need staking if your cutting garden is exposed. Sweet Peas In Containers. ‘The Allotment’, New Category.